In this case, you want to give your guests a funny feeling! 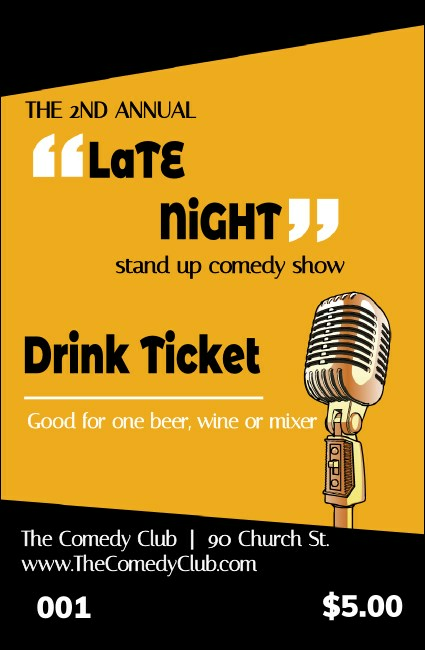 Let your attendees kick back with a cold one when you give them Comedy Retro Microphone Drink Tickets for your next gig. With a creative black and orange background design and the image of an old-school microphone, along with secure numbering, these tickets are nothing to laugh at! Stand up to the competition at TicketPrinting.com.